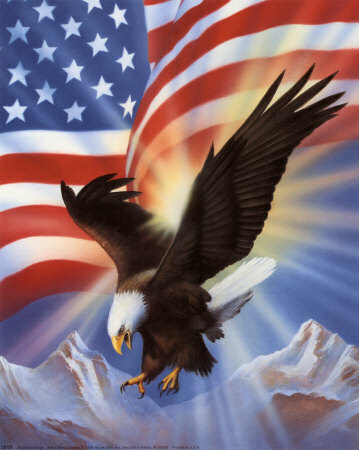 I’m very grateful to have been born an American. I can honestly say that sometimes, I wake up and thank God with my some of my very first prayers for his putting me here on American soil. I am third generation American, my family immigrated here from Mexico. While there are those who wave the flag of their country in ours, I know of no other country where that would be possible. I have lived in foreign countries in my adult life and nowhere have I found a place as beautiful or as majestic as this one. There is not another country that offers a free education to every child regardless of nationality. Even those people who are here illegally have access to a free education, will be attended to in an emergency room, can receive welfare, subsidized housing and graduate from our finest colleges. For those that say they held down by system of this country, I say I don’t get it. While you may be held down by the ideals within yourself, what I have found is that you are only limited by your own expectations. This is still a country that cheers hard work and perseverance. America is going through a rough patch right now. We’ve overspent, we bailed out not only our own but others as well, we’ve made some costly errors. Some say we are moments away from falling like the Roman Empire. Our founding fathers put in place a constitution that still today, if adhered to, will lead us to a freedom to be who we were destined to be and will ensure that freedom for generations to come. We aren’t perfect, we aren’t always in the right, but we are afforded the opportunity to make those choices. The people who put their hard work and perseverance behind their ideals is what made this a great nation. On this fourth of July I pay tribute to the United States of America and all of those who gave her life for her. May God bless America always. I couldn’t agree more! This country with all its faults is still the best in the world for its opportunities and freedoms.